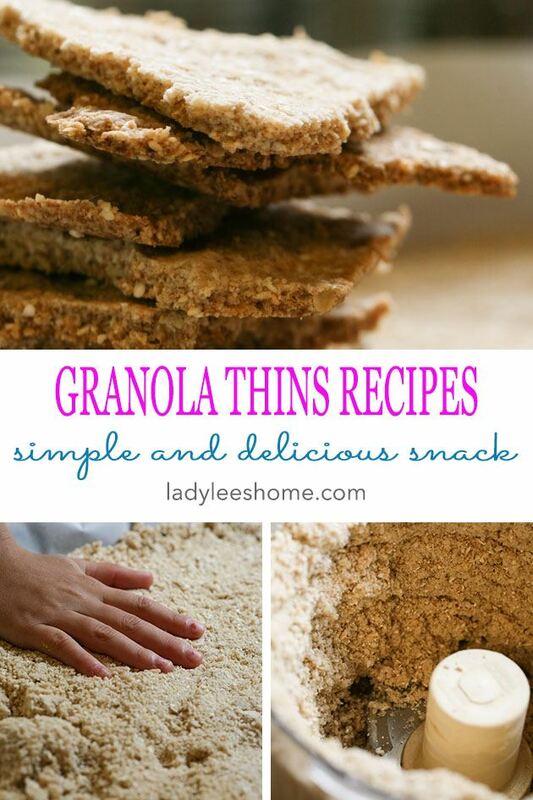 This granola thins recipe is super easy to put together. Just throw everything in the food processor, transfer to a baking sheet and bake. 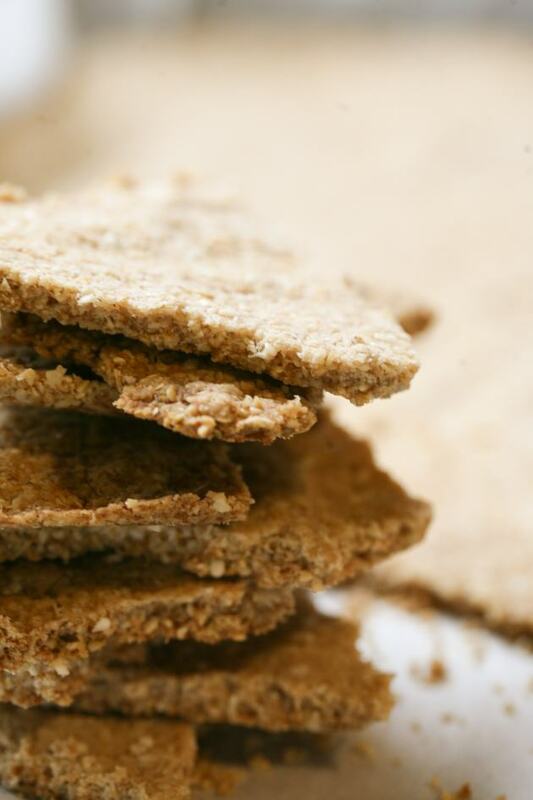 To make them even healthier, feel free to use whole wheat flour. You can add mini chocolate chips, chia seeds, hemp hearts, nuts… Make them your own favorite snack or even breakfast! I am so happy you are here. 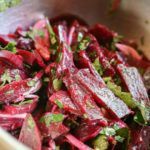 I am so happy you are here because today I am going to give you a recipe that will become a regular at your house just like it is at my house. Sometimes a mother (or anyone…) needs a go-to quick that she can put together in minutes and everyone loves. This one is mine. 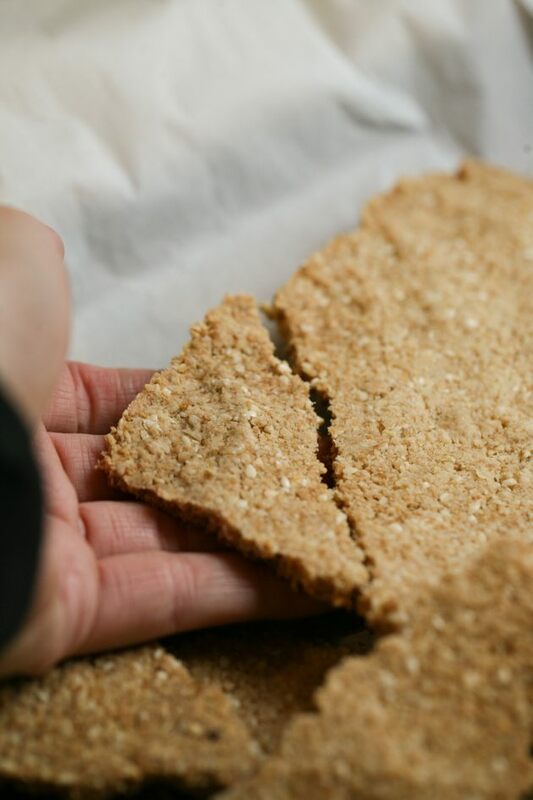 I can make it just a bit different each time by adding chocolate chips or nuts or sesame seeds or whatever and I’ve yet to discover a combination my kids don’t like. So when I need to put together a quick, this is one of my favorites. 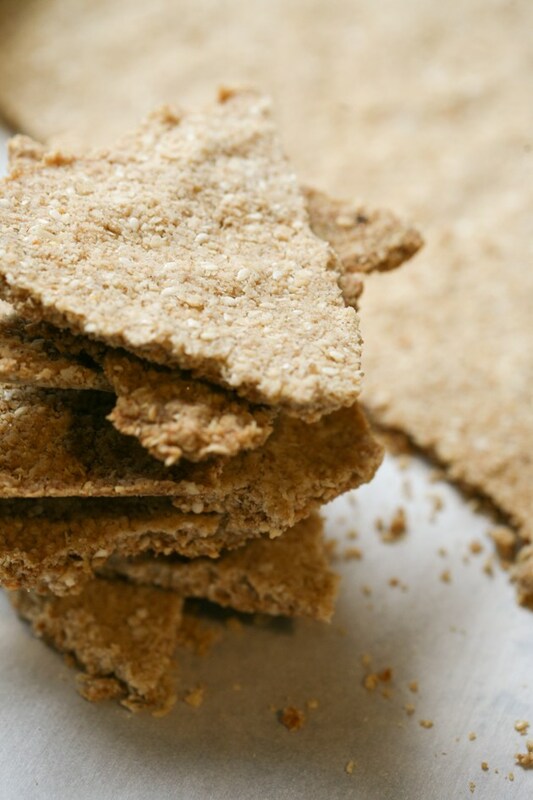 **If you’d like to make these granola thins with nuts, go ahead and add 1/2 cup of whatever nuts you want to the food processor and process the nuts before you add the rest of the ingredients. 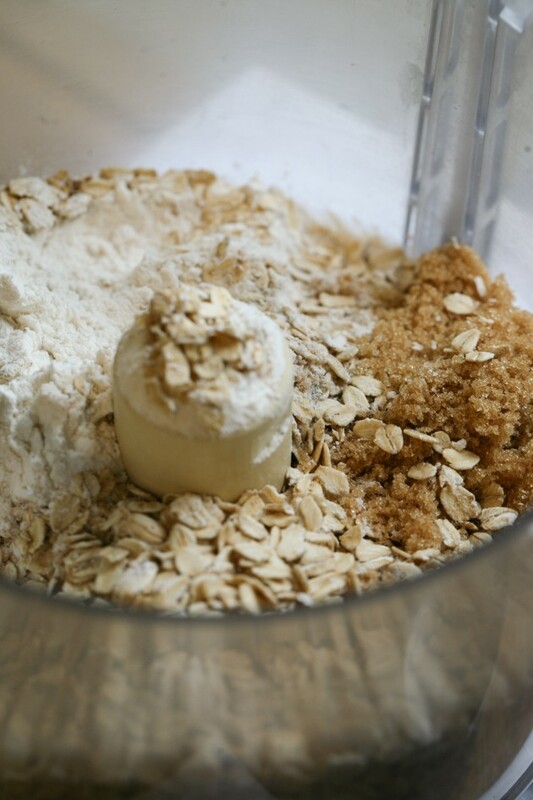 Start by adding one and a half cups of flour, 1/2 cup of brown sugar, and one and a quarter cups of rolled oats to the bowl of the food processor. 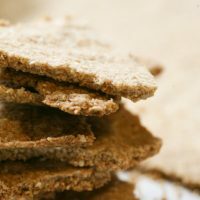 If you want to make this healthier you can substitute the all purpose flour with whole wheat flour and the brown sugar with coconut sugar or rapadura. 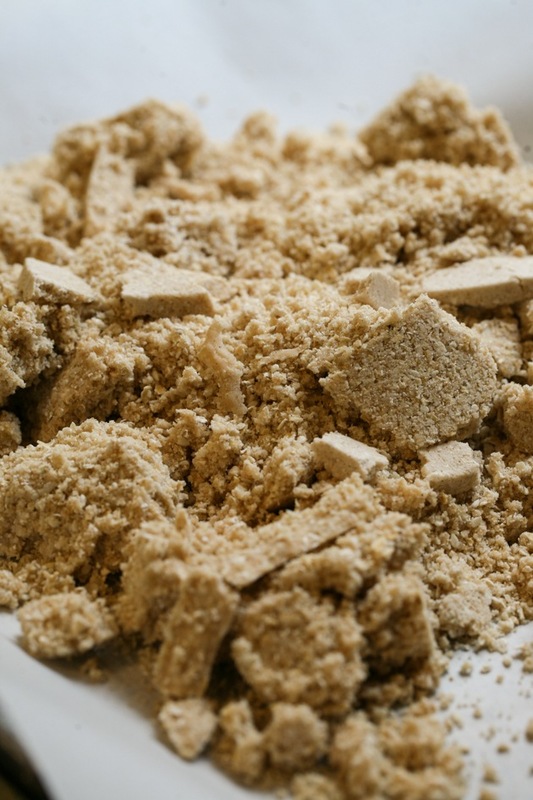 Next, add 3/4 teaspoon salt, 3/4 teaspoon baking powder, and 1/2 teaspoon cinnamon. Pulse this a few times to mix all of the ingredients. Now you can add half a cup of whatever you want. My favorite is sesame seeds. 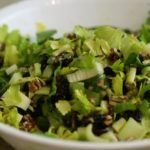 You can add chocolate chips, peanut butter chips, raisins, pumpkin seeds, sunflower seeds, crushed nuts, or anything else you can think about. Remember, if you only have whole nuts, start with them. 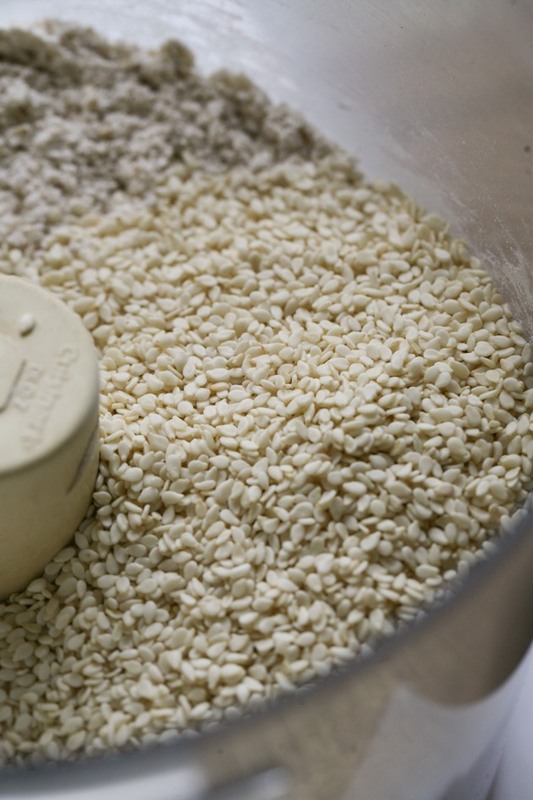 Process them in the processor before you add the rest of the ingredients. After you add your add-ins (or you can decide not to add anything! 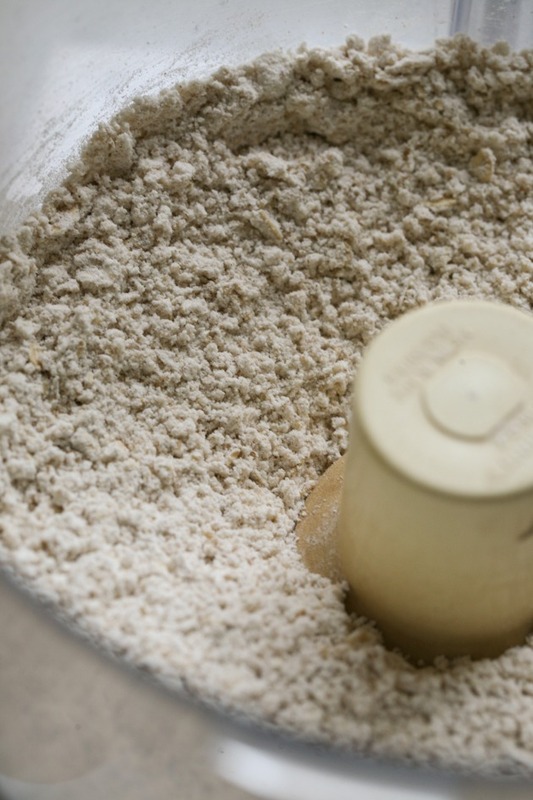 ), pulse the processor a few times to mix it in. Then add a stick and a half of cold, cubed butter. 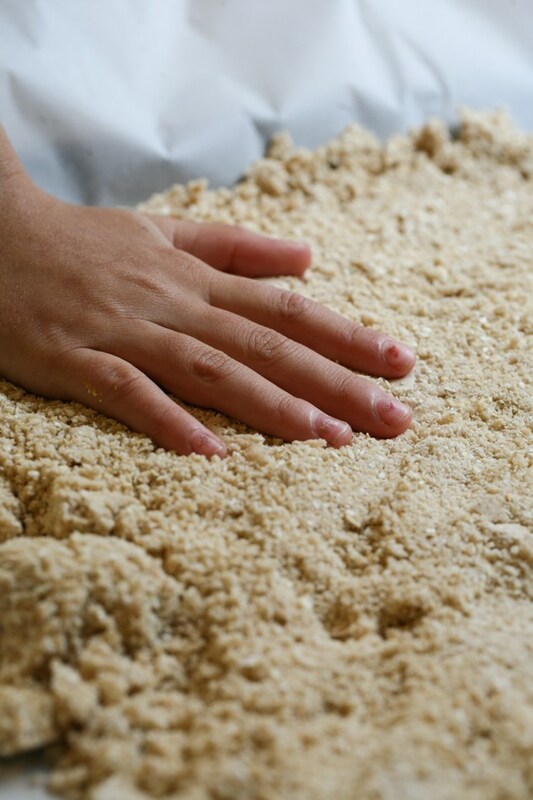 Pulse until the butter is incorporated into the flour mixture and you can no longer see big chunks of butter. 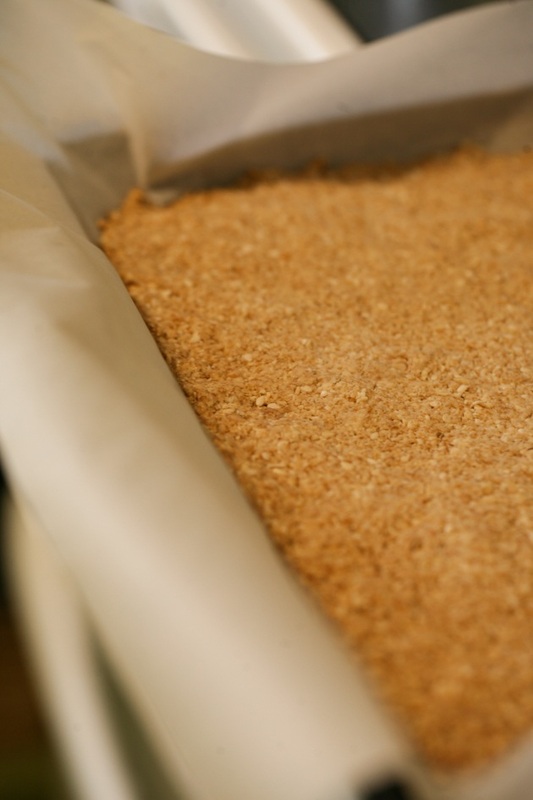 Line a baking sheet with parchment paper and place the mixture on it. And press it onto the baking sheet. 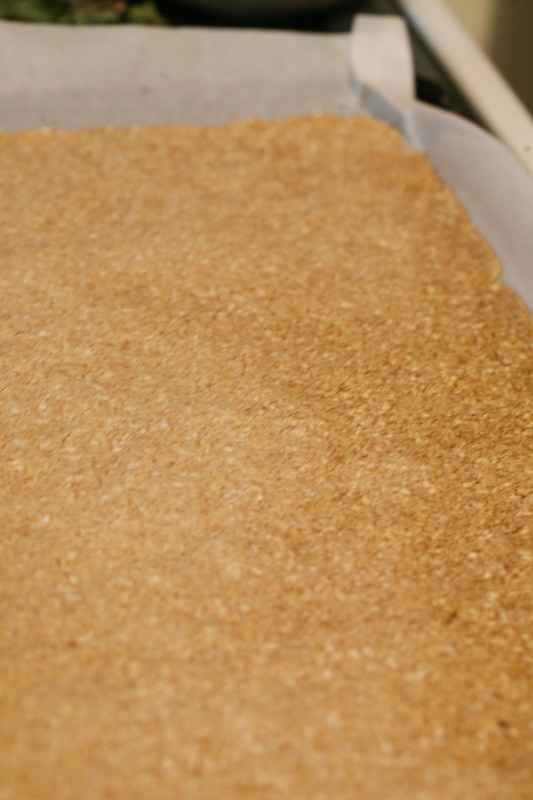 Bake it in a 350F preheated oven for 17 minutes or until golden. You’ll notice that the edges are a bit more golden than the center, but if you spread it into an even layer it should be done throughout. And then simply break it into pieces by hand. 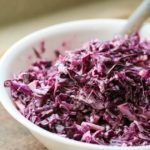 Go so well with coffee or tea or as breakfast (served along with fruit and good cheese) or as a snack. It’s simply hard to stop eating these. Make sure to keep them in an airtight container. 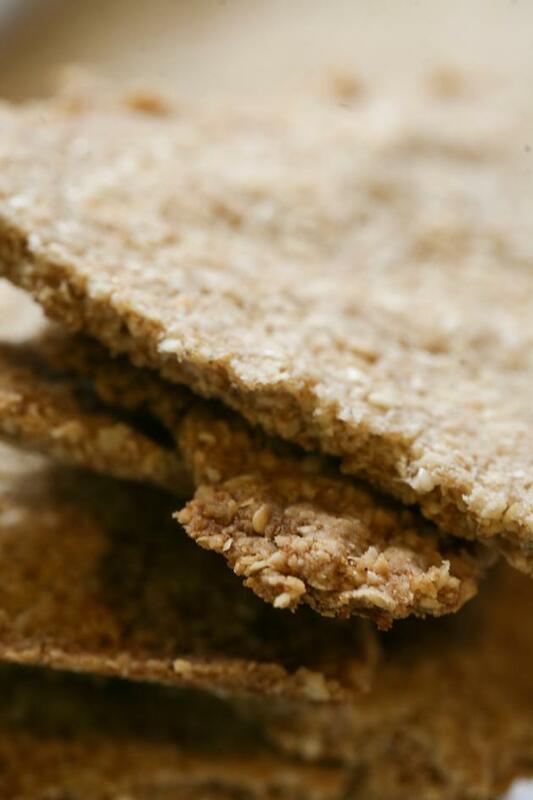 These crispy granola thins are a great snack. 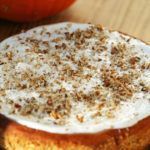 Throw everything in the food processor then bake. Super easy! 1 1/2 sticks of cold butter, cubed. 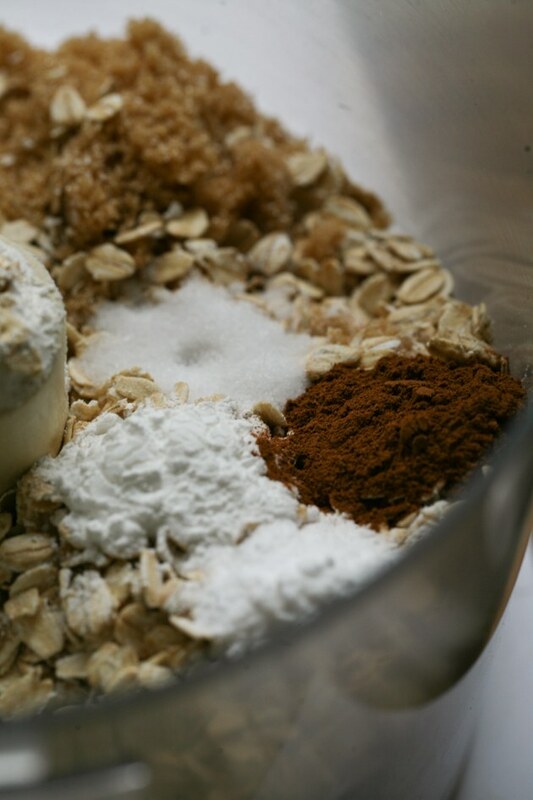 **If you are using nuts as add-ins, add 1/2 cup to the bowl of the food processor and process them before you add the rest of the ingredients. 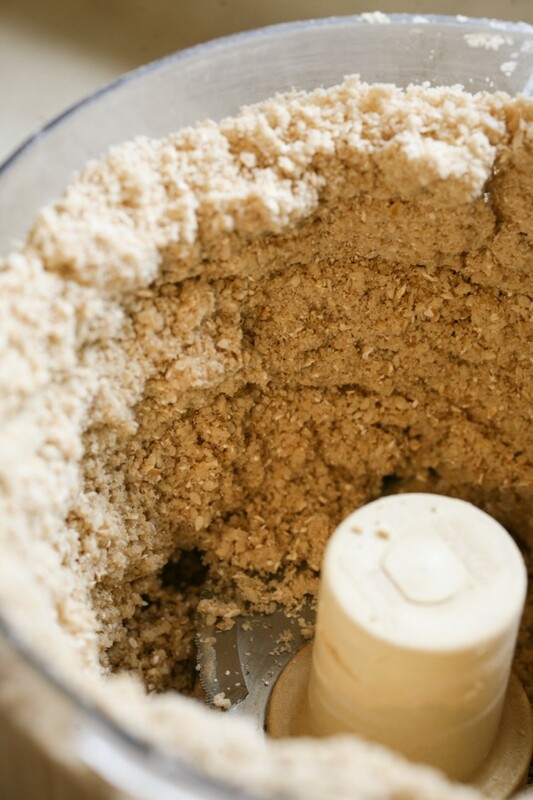 Add flour, brown sugar, oats, salt, baking powder, baking soda, and cinnamon to the bowl of the food processor and pulse a few times until combined. Add your add-ins (hemp seeds, chia seeds, mini chocolate chips...) and pulse a few times. 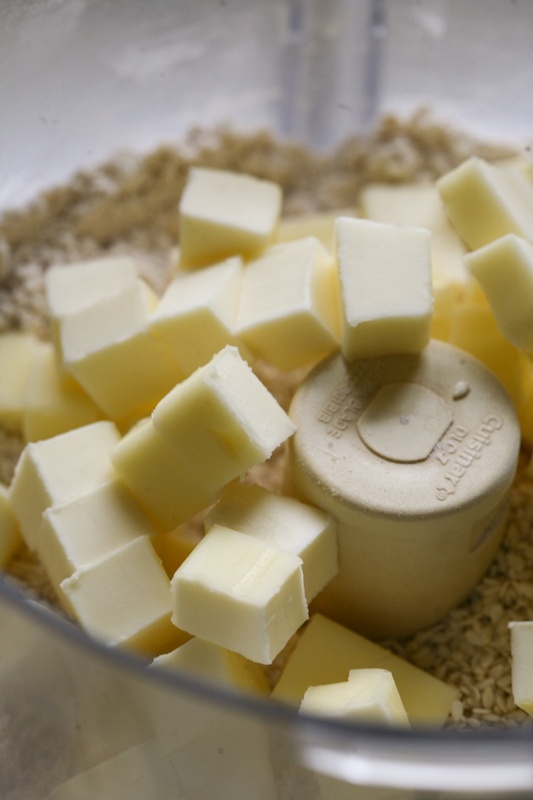 Add the butter and pulse until there are no longer big chunks of butter. 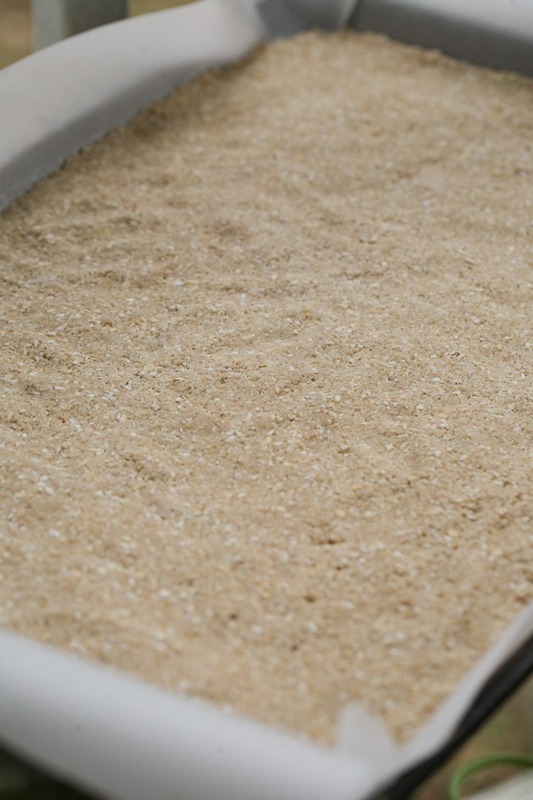 Line a baking sheet with parchment paper, place the mixture onto the lined baking sheet, spread evenly and press to the baking sheet with your hands. Bake in a 350F preheated oven for 17 minutes or until golden. Remove from the oven, let it rest and cool for a few minutes and then break into pieces by hand. You amaze me. all you do on your farm and property is amazing. I am so proud of your growth and accomplishments here. I miss you a lot. love you all. Love you too! Thanks, Racheal. Could you use something other than butter? Coconut oil? Olive oil? Thanks. Addie, I put the ingredients in a calorie calculator (sorry I don’t have it on the recipe card, I need to update that). If you add 1/2 cup of dark chocolate chips the total calories for the recipe are just a tiny bit above 3000. Let’s say you get between 30 to 35 cookies depending on how you break it and you are looking at 80 – 100 calories per serving. I think that it’s just about what the Nature Valley thins are.